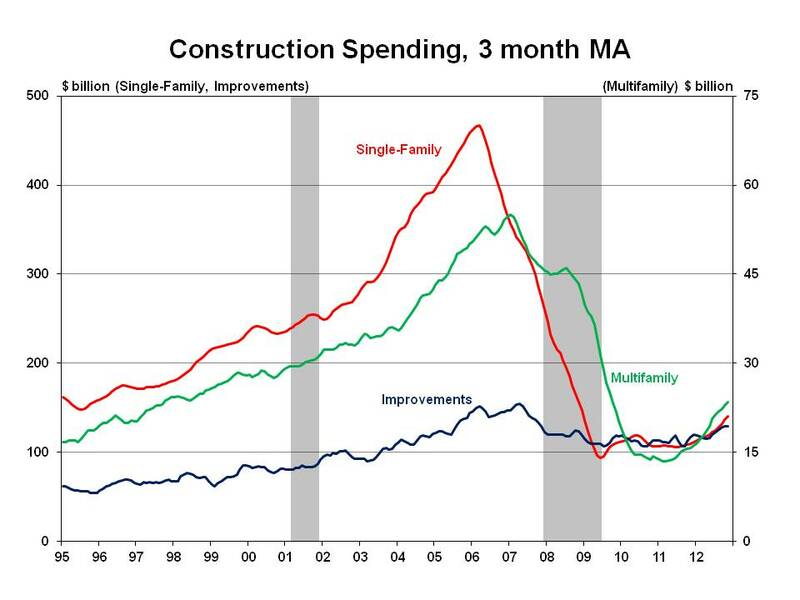 NAHB reports that spending on private residential construction activity ticked 0.4% higher on a month-to-month basis during November 2012. October’s preliminary reading of a 3% gain was bumped down to a 1.3% increase, but at the same time the initial estimate for September was pushed upward from 1.1% to 2.9%. Spending has increased in each of the last 8 months (and 15 of the last 16), rising to a 4-year high and nearly 33% above the trough during the third quarter of 2010.